Magi’s “King of the Seven Seas” had so many incredible adventures in his younger days that he got his own spin-off series. 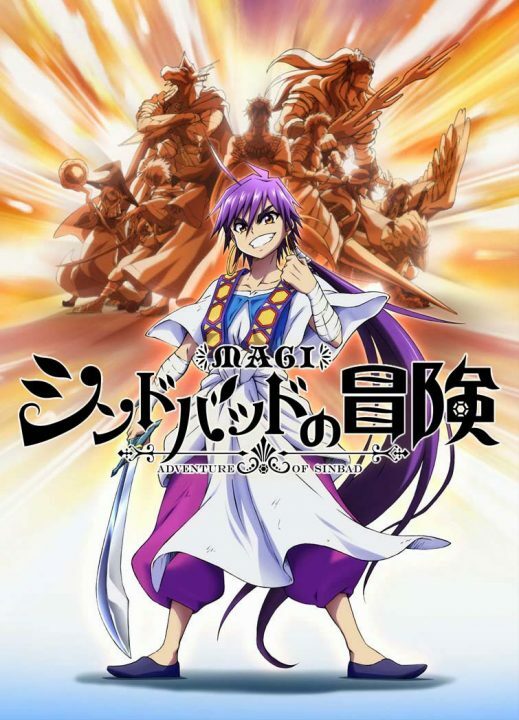 Carrying the One Piece feel with it, Magi: Sinbad no Bouken is an anime comprised of 40% adventure and 60% backstory. While the overwhelming amount of backstory can get irksome in some shows, Sinbad no Bouken uses it as a weapon to further hype up the adventure. Indeed Sinbad and his 8 generals are almost like Luffy and his 8 crew members as they venture to new lands, solving problems and gaining comrades along the way. But what makes this show great is its ability to combine this adventure-shounen charm without losing the characteristic ingenuity of the original series.